Oklahoma Connection | Marriott came with her family to Oklahoma City, Oklahoma, at the age of seven. 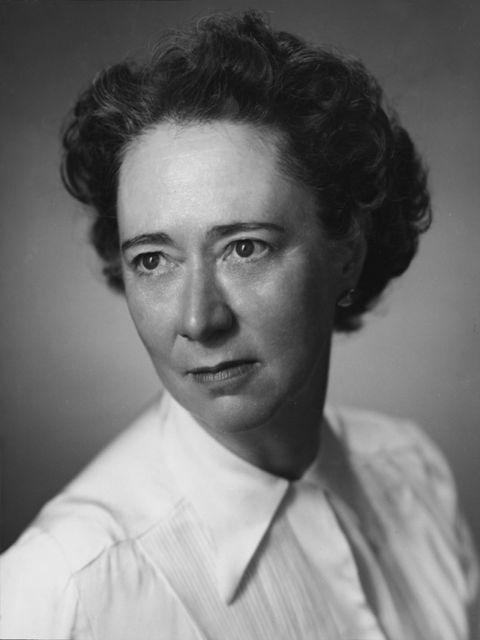 Alice Marriott was the first woman to be inducted into the Oklahoma Journalism Hall of Fame. Alice Lee Marriott was born in Illinois and moved with her family to Oklahoma City in 1917. She graduated from Central High School in 1926 and received her first degree from Oklahoma City University in 1930. For the next two years Miss Marriott worked as a cataloger in the public library in Muskogee and devoted much of her time to building library collections on local history, and began studying the ethnology of Indian tribes of eastern Oklahoma. In 1934, she began her studies in Anthropology at the University of Oklahoma, where she did extensive research involving several Oklahoma sites, including Spiro Mound, and conducted field work in ethnology among the Kiowa Indians. Results of her studies were later published in several books. Along with her writing, Miss Marriott worked extensively with state and national museums and exhibits on Indian culture and crafts. She was the first field specialist in Indian Arts and Crafts for the U.S. Department of the Interior (1937-1943) and, in the 1950s, began teaching at the University of Oklahoma and at Central State University (now the University of Central Oklahoma) in Edmond. She continued to author and co-author books on the subjects of Southwestern Indian culture throughout the rest of her life. See pictures of Alice L. Marriott and other media HERE.